In 2017 there were 408 fires reported on construction sites in England. This is the highest number recorded since 2011, which totalled 426. The question we should be asking ourselves is: what is the reason for the sudden increase in construction site fires? The answer is that it’s due to a lack of knowledge on how to properly prevent fires on a construction site. Have you considered the following factors when it comes to fire prevention on site? It’s crucial that you have the correct fire safety products on site, and fire extinguishers are the weapon of choice for smiting small fires on a construction site. It’s a legal obligation under the FSO 2005 that a “responsible person” must carry out a risk assessment on a construction site (or any work premises, as a matter of fact). Have your staff completed their Fire Awareness Training? Fire Awareness Training is a legal requirement for every workplace and, under both the CDM Regulations & the HASAWA 1974, employers are obliged to ensure this training is undertaken by every member of staff. 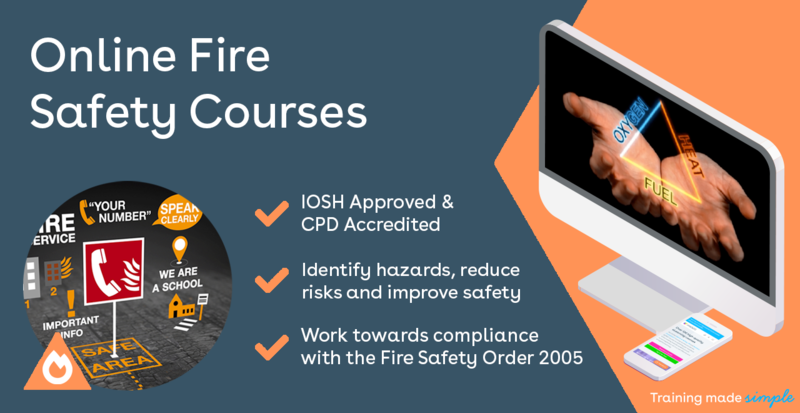 As well as showing due diligence to the pieces of legislation, Fire Awareness Training provides all workers with the knowledge to identify fire hazards and to reduce risks in the workplace. Fire Awareness Training isn’t just a compulsory, tick-box exercise; it’s an investment in the safety of your workforce. Take a look at our blog about our clients' reviews for the best Fire Awareness eLearning around!